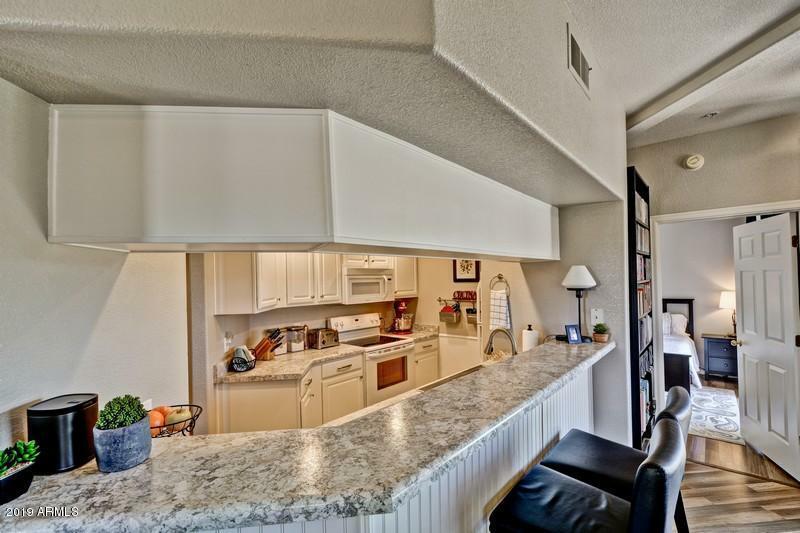 Come and see this great ground-floor condominium in the gated Arrowhead Lakes Community! Located in a quiet corner at the end of the complex. 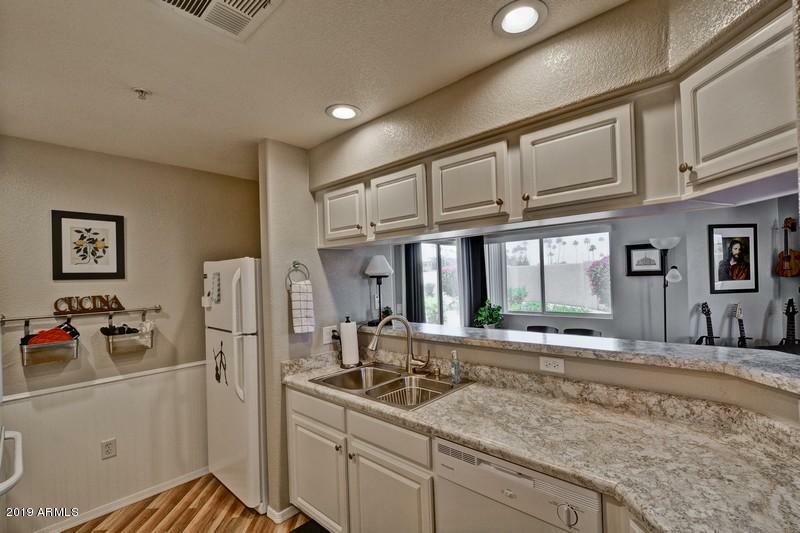 Kitchen has been updated with white painted cabinets, new appliances and counter tops in 2015. Beautiful wood laminate flooring in 2015. tile flooring in bathrooms--NO CARPET! Bathrooms have updated vanities, with upgraded shower doors in the master. Laundry is inside, washer and dryer replaced 2015. 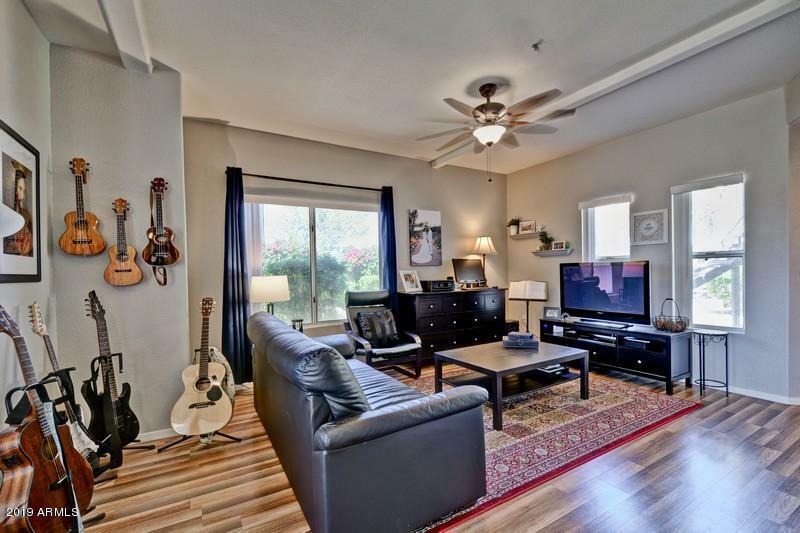 Best of all, this unit has a GARAGE! 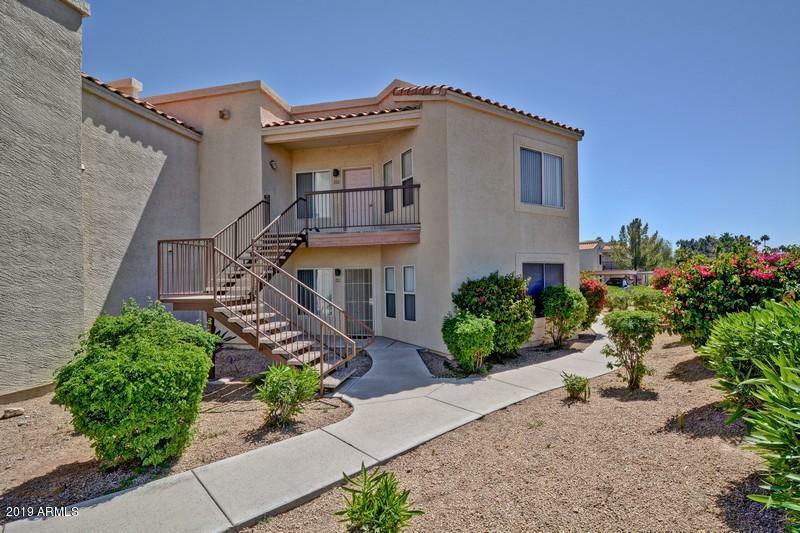 Great proximity to Mid Western University, Arrowhead Mall, Peoria 83 restaurants and sports complex, and Arizona Broadway Theatre.